– What is the definition for Kabbalah? Kabbalah is the Jewish tradition that can be traced back to ancient times. It is an esoteric method, discipline and school of thought that also includes ciphers. The tradition includes the interpretation of the Bible in the mystical way. Kabbalah is the word originated from Hebrew and its literal meaning is receiving or tradition. The traditional Kabbalist who practices and follow Kabbala is called, Mekubbal. – Kabbalah is a religion? Is it a belief? What is the Kabbalah? Kabbalah is not a religion or faith. It is neither a belief, rather it’s a tradition that is passed from ancient Jews to their ancestors. It is an ancient wisdom that explains how the universe, the divine and the life work and their connection. In easy words Kabbalah is a tradition that enlightened on achieving the fulfillment in our lives. Fulfillment in Kabbalah doesn’t only mean the happiness in this life that may end at any certain point and may not be permanent or might end with the soul leaving the body. But rather it depicts how the fulfillment can be achieved that may lead to the satisfaction and a wellbeing that is long lasting, connecting it to the realm of infinity. The tradition connects the energy and maintains the bridge of true and subtle long lasting fulfillment with the eternity. Kabballah puts significance to the concept of how everything in our life is connected at the very core to one root or energy known as universal energy. According to it everything from our health, sense of self, relationships with others, our careers, our social behavior and life, all are just different stems that originates from that one core root. Since Kabbalah is not a separate individual religion with its own belief system or values, it provides insights into world that can be applied to all faiths and religions. It is not bound to only Judaism or one sect or ethnicity. As long there is belief in its knowledge anyone can benefit from its teachings. – What is the Kabbalah Tree of Life? The Kabbalah Tree of Life is also known as Etz haChayim in Hebrew. According to Kabbalah the Tree of Life is a matrix of ten divine emanations that are used to by God to create everything, to sustain it and rule and control all the worlds. The tree exists in the world of infinite which is greater than the worldly dimensions and free from the boundries of the time. It is omnipresent and exists eternally. The emanations of this tree are called Sefirot or Sefirah, each of which is holographic and has the tree as whole. According to tradition these emanations are they invisible holy ways through which the sacred messages of God are revealed to us. The teachings of the Tree of Life are said to be first originated in the time of Abraham but the actual scriptural forms were believed to be revealed later in time. It teaches us about the relationships as a whole. The relationship are believed to be the very basic reason of our existence as we created on this world a man woman. The Tree of Life furthermore is an elaborate map that organizes the consciousness in its divine way for our better understanding of our relationship with the divine and what is there in the heavens. More close we come to recognition of Tree of Life’s presence more closer we become to recognize and believe in the divine presence of God and feel connected to Him. The tree is the source for light who believe in it and brings countless blessings and gives strength to stand in this world with our feet firm in its place with the support we get from the tree of life. The symbolism in Kabbalah is in Hebrew that belongs to ancient Judaism. There are letters in Hebrew that correspond to the numbers which leads to any word to be depicted in the form of numbers. These numbers can have significance separately or as a whole when they are added together. The words that have common numbers are believed to have shared meaning, or related somehow. These letters in Hebrew are believed to be caused by spiritual symbolism. The directions of lines in the letters in Kabbalah are believed to hold spiritual meaning, and so it goes for the shapes that are formed by these lines in the letters. These letters, numbers and symbols are believed to hold spiritual meaning that the interpreter of the meaning receives from God. It is believed when the writer write these letters and numbers he is in fact perceiving it from the god himself. The color in the letters and numbers also signify towards the ways of creations harmony in Hebrew and Kabbalah. It entails how the creator and the writer work in harmony, without them both it is not easy to interpret the meaning of the story of the creation. The Kabbalah and Hebrew symbolism in text is believed to be found in the book of Torah that is believed to be the oldest and most sacred book to hold the symbolism. Apart from Torah in Christianity the Old Testament holds the Hebrew symbolism. – Can a person get help with the Kabbalah? How? 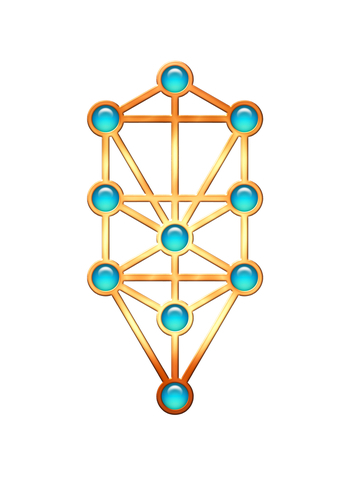 It is believed that Kabbalah can help people to improve their life. It can be used to shed light on different aspects of person’s life and helping a person understand the signs from the creator himself and how it all is connected to make the universe act in one harmony. To get benefit from Kabbalah one needs to perform Kabbalistic meditations. The Kabbalah text is full of imagery as well depicting male and female union. But the use of Kabbalistic meditation during the union is sinful and dangerous. There are certain study groups or help groups that perform meditation in groups and help each other to pass from one stage to other. This helps in gaining more knowledge and sharing it with friends. The Kabbalah practices helps improve relations and to influence friends. But to influence others the spiritual stage of acquiring Kabbalistic wisdom is first to be attained through consistent effort, sustained focus and dire hard work.